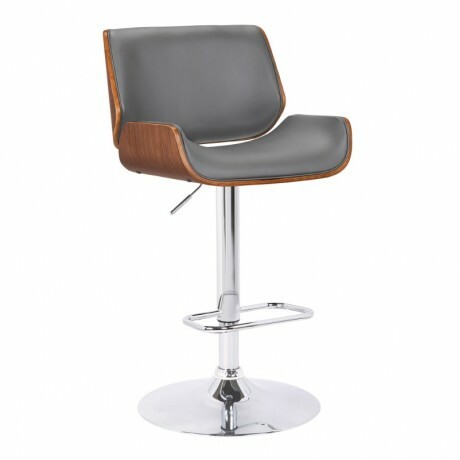 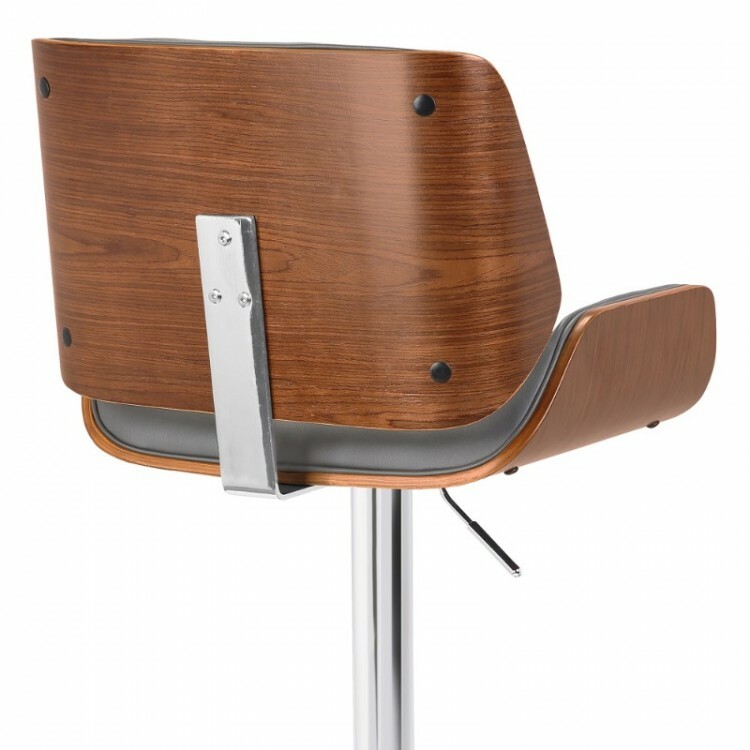 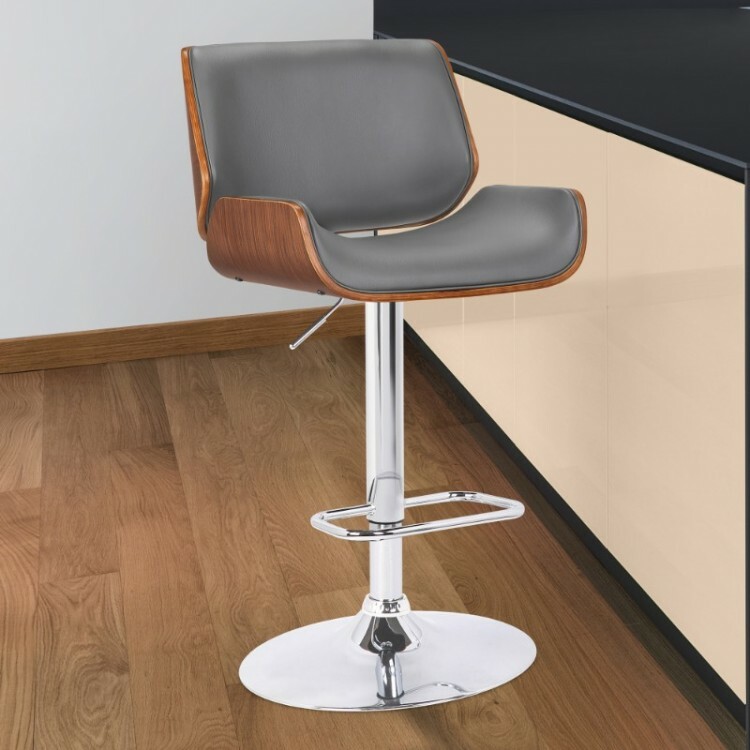 The Armen Living London contemporary adjustable barstool is an ideal addition to the modern kitchen or bar. 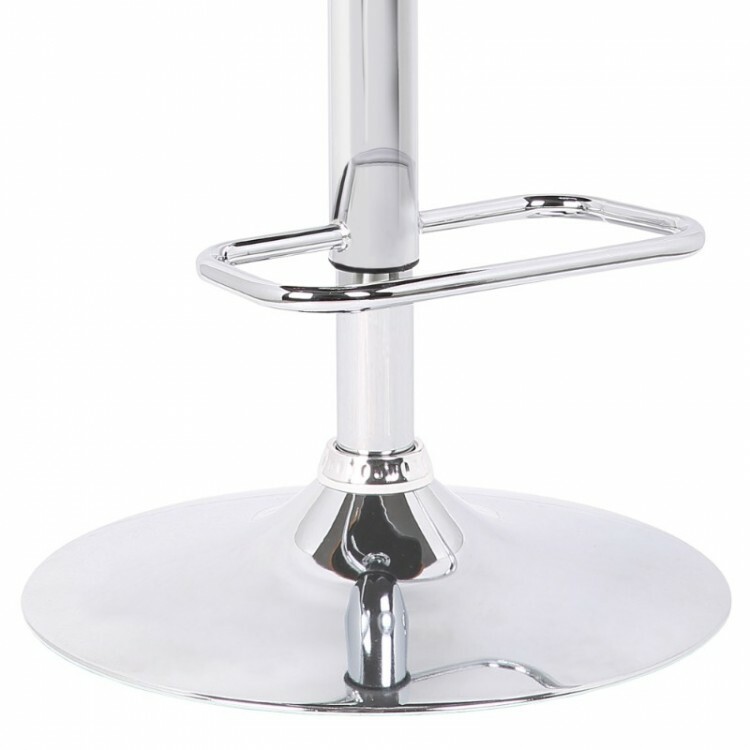 This beautiful gas lift barstool features a swivel seat set upon a sleek chrome metal column. 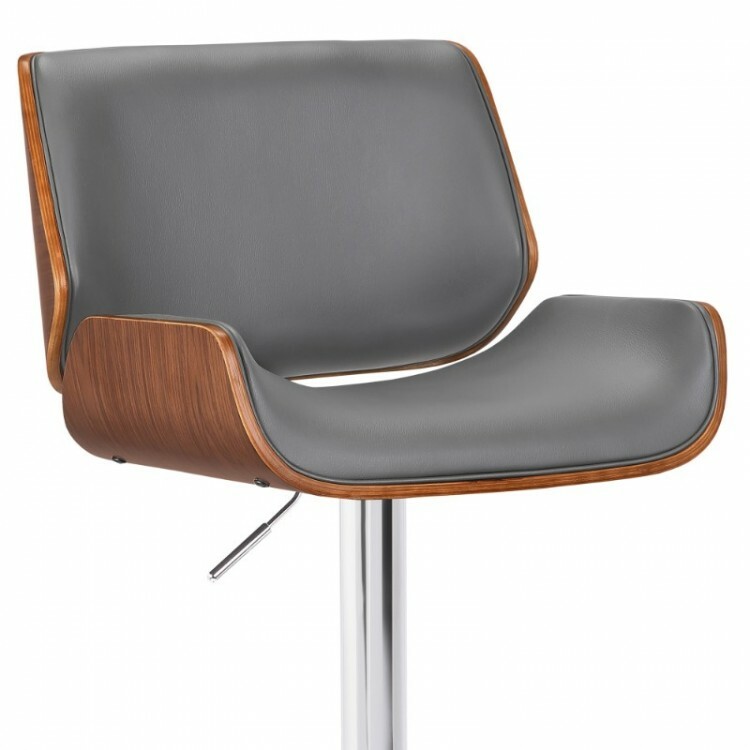 The column comes complete with a footrest for added comfort, while the seat and back are padded with faux leather upholstery and accented by a walnut veneer shell. 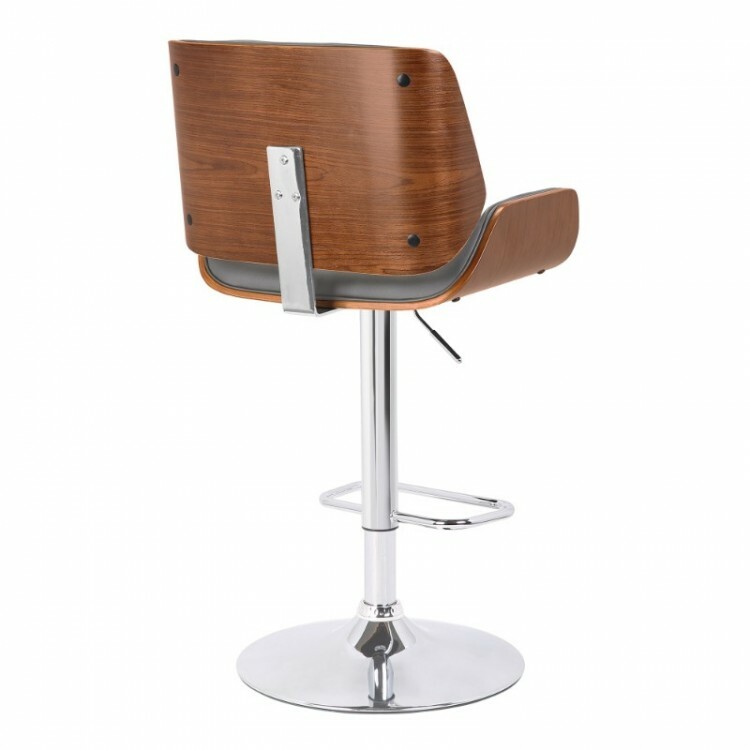 This wonderful combination of materials endows the London with beauty without detracting from the barstool's exceptional degree of comfort. 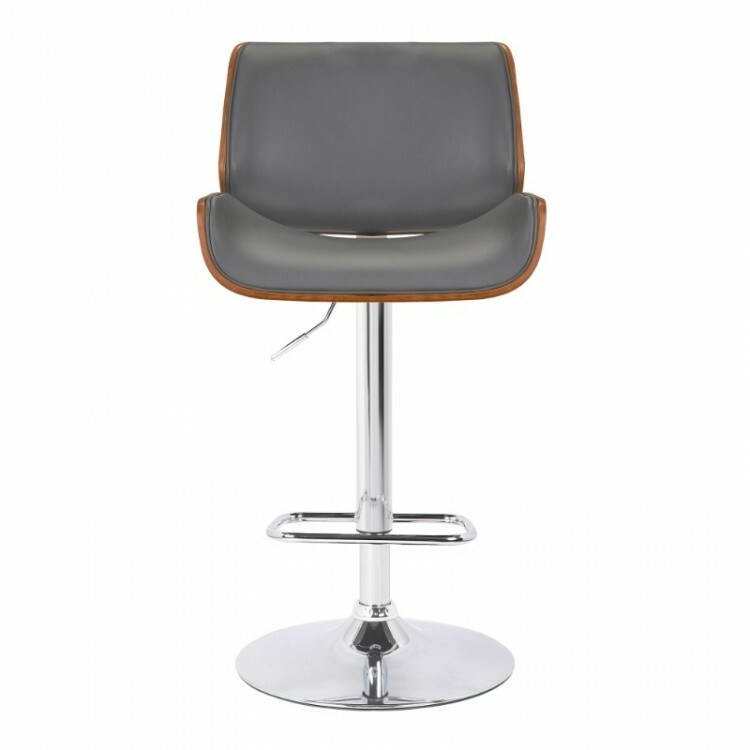 An excellent addition to the home, the sleek London barstool is available in your choice of black, cream, and now grey faux leather.